I am always in search of the best chocolate chip cookie. I have made more than my fair share of cookies over the years, but I am still not ready to declare a favorite. I have a couple recipes that are at the top of my list, but the search isn’t over. I am always looking for a new recipe to try. I decided to give the New York Times Chocolate Chip Cookies a chance. I don’t know why it has taken me so long to try these cookies, they have been getting rave reviews for awhile now. So what makes these cookies unique? First of all, instead of all-purpose flour, the recipe uses cake flour and bread flour. The recipe also calls for chocolate discs, instead of traditional chocolate chips. You are supposed to chill the dough for 36 hours before baking-this recipe will test your patience:) After the dough has chilled, you measure the dough in a 1/3 measuring cup to create cookies that are about 5″. It is important to make them this big so you can experience the different textures of the cookie. The outside edge will be golden brown and crisp, the center will be soft and chewy. Just before you bake the cookies, you add a tiny sprinkle of sea salt, which adds a special twist. I tried to stick to the exact recipe. I measured my flour, chilled the dough for 36 hours, and used high quality chocolate. I didn’t have discs though, so I used a mix of Ghiradelli’s chocolate chips and chopped chocolate. I normally don’t make my cookies so big, but I decided to follow the recipe. I also added the sea salt right before baking. Don’t worry, the cookies aren’t salty, you just get a hint of salt every once in awhile. I was definitely impressed. These cookies are very, very good. Josh LOVED them. They are for sure his new favorite. He went back for seconds, even though the cookies were gigantic. I loved the crisp edges and soft, chewy center. The cookies are loaded with chocolate and have a nice toffee flavor. I also enjoyed the touch of sea salt-do not skip this step! So yes, the NYT Chocolate Chip cookies are very delicious. I will be baking them again-Josh is already asking for more:) BUT-I am still not ready to declare them the winner of all chocolate chip cookies:) I know my favorite is out there-I just have to find it…or maybe I just like too many cookies and can’t decide, ha! If you haven’t read the New York Time’s cookie article, click here for more information. 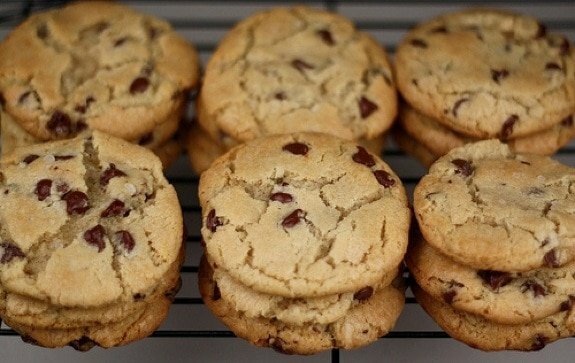 The BEST chocolate chip cookies. Chilling the dough makes these cookies amazing and don't worry they are well worth the wait! I know what you mean by you will be baking them again. I made this and it is my daughters favourite cookies, she always ask for making the same cookies. Your look yumm, now i just need a cup of tea and few of those delicous cookies. Chocolate chip cookies are my all time favorite cookies! Like you, I’m always searching for the best recipe. The closest I’ve gotten are Alice’s from SSL. Her recipe is great! I haven’t tried this recipe yet, but I LOVE the addition of sea salt! Oh these are fab Maria… look so good! YUM!! I love trying new ones too! I’ve been wanting to try this recipe too. Although I’m a bit afraid of making them so big! Yours look perfect! I’d say those sound and look pretty fantastic, but if I had to wait 36 hours with cookie dough in my fridge, I can guarantee there wouldn’t be any left to bake 🙂 I love when the outside is crisp and the middle is chewy. mmmm. I guess that the key to their deliciousness lies in those 36 hours (as well as in the good quality of the products)… They look fantastic! I would never skip the sea salt! That has become an essential to pair with my sweets. Love how big these are and the reasons why they need to be that way. I do like the texture of cookies with pastry flour, a different kinda crumble. Awesome photos, soooo clean and bright! These look pretty perfect to me! 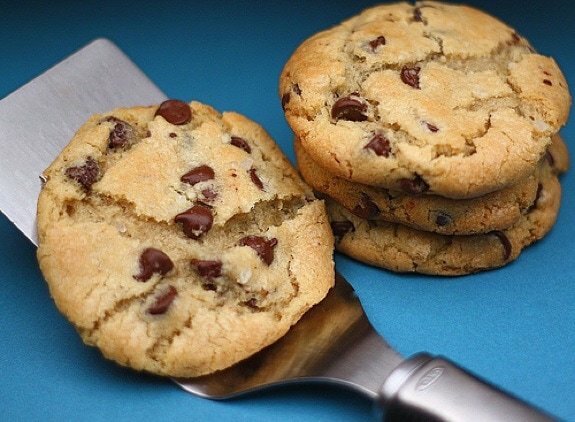 I’m definitely bookmarking this recipe, I’ve never yet made a perfect chocolate chip cookie! My hubby is a cookie monster. He would love these. They look amazing!!! They look like perfect chocolate chip cookies! Must give this recipe a try! Yum! Your cookies look amazing Maria! Glad you got a chance to try these and liked them. They were a hit here too, but like you, I’m still not ready to declare them my absolute favorite CCC. I can count on you for the best recipes – and these look fantastic! These have received such high accolades we just have to try them. I haven’t tried these yet, either! I’ll have to add them to my to do list, which is mighty long, hehe. They look and sound wonderful! i still have not made these. and trust me, i’ve been craving them badly. Just copied the recipe and will definitely be giving this a try. I used to like Crisco’s chocolate chip cookie recipe the best, but I think lately my tastes have been changing. I’m ready to move on towards bigger and better horizons…and the fact that these cookies are massive seems bigger and better to me! They look pretty tasty to me! I am the same as you though, always in search of the best choco chip cookie. There are quite a lot of bad recipes out there. Oh yum! Chocolate chip cookies are the best and this recipe looks great. I can’t wait to try it out for myself. 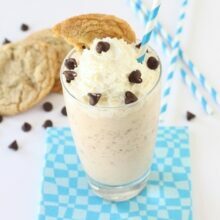 I love a good chocolate chip cookie and these look so yummy! Do you know if you could give them a try with all-purpose flour? I want to make them today but don’t have time to run to the store for cake and bread flour. Any adjustments if you try all-purpose? These look too good to wait to bake! Emily-I haven’t tried them with AP flour. I tried to stick to the tried and true recipe. Give it a try and let me know what you think:) I am sure they will still be tasty. These are SO GOOD! I had them a couple weeks ago at my recipe club group. I didn’t make them, but someone else did. I can’t wait to make them at home. I loved the texture and for me, they’re the best I’ve had….so far! These sound wonderful – I love your description of the different textures of the cookie, they are my favourite type when they are like that. Maria, I have made these and really enjoyed them also. Yours look like they turned out perfect and I agree…you cannot skip that sea salt! These are my favorite cookies! Yours look so great! Measuring the portions makes all the difference! Oh, they look so wonderful! You know how much I love these, but like you, I find it is hard to pick “the best!” Even after a side-by-side taste test. I still have to try a couple other CCC recipes that you’ve posted before I can even begin to declare a winner. One thing is for sure – I certainly won’t say no to an NYT CCC. Yours look fabulous! I think you are the queen of cookies! These look fab… and I dont know if I could wait the 36 hours either! But I am sure they are delish! I am weak for cookies, and these look great! I always take cookies to our monthly family parties, so I can’t wait to bring these. Yum! These are on my to-do list too – great that you give them your stamp of approval. mmmm, they look incredible! i can’t wait to try them! Did you say 36 hours to chill?? They better be some gosh darn AH-MAZING cookies if I have to wait that long just to bake them. But if your pictures are any indication I’d say they are worth it. I definitely wanna try this recipe soon. I’m so intrigued about the cake flour and bread flour combination. Bread in a cookie? That’s a carboholic’s (like me) favorite dessert! I tried this recipe, as well as Cook’s Illustrated “Perfect CCC”. I have to say, to my personal preferences, the NY Times’ recipe really delivers great ccc! This is now my go-to ccc recipe! These are my favourite too! These look and sound delicious, Maria! I, too, have read about these on various sites, but have never taken the time to try them. I guess it’s time I do. Your photos look great – love the blue background. Look great! Can’t wait to try. I thought I already had the BEST recipe ever but am always willing to give another a try, just in case. I have heard so much hype about these cookies that I am almost scared to try them! What if I mess up? I wouldn’t want to make them give me a bad first impression. They look fabulous though. And so I really am going to have to make them. I’ll take two with a glass of milk please. They look amazing. Who doesn’t love chocolate chip cookies? I, like you, have been on a life-long quest for the Chocolate Cookie Holy Grail. Will try yours soon. One question: would these be OK to mail, of are they too sift and crumbly? I must be the last blogger to not have tried these yet. Thanks for adding another positive review and tempting photos to motivate me. It’s mostly the bread flour (which I don’t have) holding me back. Ive made these very cookies more than a few times now and let me say…YUM!!! So glad you liked! I made these for Christmas and people loved them, only I made the balls of dough about as big as a big walnut. Turned out fine. Then I just made them substituting 8 oz of the chocolate with 8 oz of toffee bits. Amazing. And I plan on trying to substitute 8 oz of the chocolate again, only with 4oz with toffee bits, 4 oz toasted pecan bits. Mmm. Getting there. Cindy-I love the idea of adding toffee. Thanks! We will have to try that next time. I’ve heard about this recipe and people have been raving about it. They look fab, I don’t think I know anyone who doesn’t love Chocolate Chip Cookies. I think it’s so important to include the sea salt, it definitely rounds out the flavor. 36 hours would definitely test my patience.. Maybe if I mixed up a batch before going on a weekend getaway. They sure look delicious, thanks for sharing your input on these cookies! Really, 36 hours? I’m not sure I could wait that long. Thanks for the post. It was so fun to be with you again on Saturday! Chocolate chip cookies just are not safe around here. Gobbled up way to quickly. These look real good. I will try these sometime. I have been wanting to try this recipe as well. The recipe I have on my site has vanilla pudding mix in it. Try it some time. They look lovely and chewy. How have I not heard of these before? They sound amazing! I must try them…today! I love a big cookie! My family would go nuts waiting 36 hours – I bet half the raw dough would be gone by then. They really do look perfect! It would be hard to chill the dough for that long though, but I’m definitely putting them on my list to try! Hi Maria, sorry I haven’t been around to comment much as I can’t seem to shake this flu. These cookies might fix me right up. I have never come across that recipe but I am always up for trying a new chocolate chip recipe. When I am up and around, I will be giving these a go. Goodness – your photos make them look STUNNING!!!!!!!!!! My problem is making dough, freezing it and then somehow scarfing it all down while frozen :o) Ack! I’ve adopted the cookie dough “curing” method ever since I read that NYTimes article too! It’s painful to wait that long for a ch.chip cookie, but worth the wait, in my opinion….all that caramelization of brown sugar and melding of flavors? mmmmmm. Chocolate disks are definitely worth a gander, btw! They stay flat and the ratio of dough to chocolate is like no other. Also, have you tried the Levain Bakery knock-off recipes? It’s now my go-to cookie recipe because of the impressive size and crispy-to-gooey ratio. Well, I think I do a combo of Levain and NYTimes to get the best of both worlds! Let us know if you try it! That recipe looks really good, but I don’t know about the 36 hour wait time, that’s definitely a test of patience. I use the chewy alton brown recipe that I have modified a bit. I’ll try others, but I keep going back to that one. Pingback: We lost the battle of the Brookies | is this REALLY my life? I can’t believe I still haven’t tried these. They look and sound amazing! These def look amazing and I love how this recipe has 1 or 2 variations to make it special. I sure can’t wait to see when you DO declare your fav!!!!! Try making them with Ghirardeli bittersweet chips or by chopping up a block of chocolate instead next time, and I bet they will be your favorites! The more chocolate dipersed throughout the cookie, the better the cookie! And I agree… the sea salt is so necessary! Wow, that’s a lot of work for cookies… Well, if they’re worth it, I might just give them a try once I get my appetite for sweet things back! Thanks everyone. The 36 hours isn’t that bad-out of sight out of mind:) And thanks for all of your cookie suggestions. I am always looking for new recipes, tips, and tricks! These cookies do look pretty good! They remind me of the giant cookies my hubby loves to buy when we are at Hershey’s Chocolate World. They’re practically as big as my head. He’d love these, I’m sure. I’ve refrigerated that dough for 72 hours – if you can believe it! – and they turn out amazing. I just can’t make cookies that big. It feels like too much work for so few, so I think I have missed out on the unique texture. Still, I think their flavor is the best that I have tried. Oh my gosh these look amazing! Great photos…I especially like the first photo. 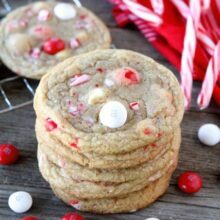 I’m usually more a lover of crispy chocolate chip cookies, these look pretty darn good! i love that i can see the soft gooey buttery innards between the cracks of the cookie! even though these are not your fave of faves, this recipe might just make me a chocolate chip cookie lover! Ok, I’m going to have to try these now! I just don’t know if the dough will make it 36 hours in my fridge, especially if my husband knows it’s there! I think I am the only person left in the world who hasn’t tried this recipe yet. Sounds good though. I’m always looking for CCC recipes too! These look really good, have to try them soon! So which one is your best recipe so far? My grandmother and I tried this recipe the week it came out in the New York times. It is delicious. I loved the sweet and salty combination. I like letting the dough chill. It splits the work up into more manageable chunks. Yum, these looks so chewy and delicious! I have heard wonderful things about this recipe, I can’t wait to whip up a batch! I’ve also been on the quest for the best ccc and will deifnitely have to try these!! the shock of these evil-beautiful cookies made me lose my breath for a moment. I’m serious. A wonderful writeup about a subject so close to the heart of so very many, including almost everyone I know. Many thanks for this post. I made these cookies last week and everyone LOVED them. I am going to make them again this week because they turned out so well. They even look a million times better than most homemade chocolate chip cookies. These are great! Okay let’s be honest these are so far from the best cookies in the whole world….Try again please! O.K. Wow. Just wow. I came back to tell you that I made them after the extended chilling period. And my husband (who had previously said, “I can’t stand when someone says, ‘This is the BEST such-and-such recipe EVER! '”) called me from the drive to work that afternoon and said, “I was wrong! Those cookies are GOOD.” We loved them! 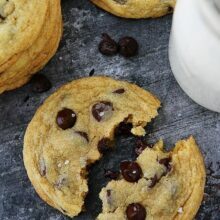 I think I might try cake flour and bread flour in my regular cookie recipe – along with the oatmeal, semisweet chocolate chips, and chunked Hershey kisses…that may be the perfect combination! These are great cookies but I prefer them using 2oz portions as they end up softer. 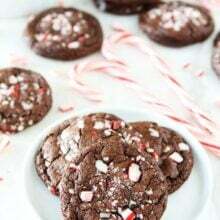 In case you’re interested I reviewed 10 cookies on this page http://www.thegrinninggourmet.com/?page_id=178. Thanks for the post. These cookies really are amazing! So far my best I’ve tried yet! The chilling part was rough since I wanted these cookies yesterday but so well worth it! I made mine smaller, I got roughly 40 cookies but still cooked them at the suggested time. Crispy but melts in your mouth, soft in the middle and oh so chewy! I addded some coconut to a few of them which was great, too. I will definitely be using this as a base for other types of chips/add ins. They are our favorite cookies too! Glad you liked them! Despite all the things I make, cookies are my favourite! I’ve tried the NYT recipe and it’s up there among my best. The chocolate chip cookies look very delicious. Good recipe information. Thanks for sharing great baking cookies recipe with us. I LOVE this recipe! I just posted about it (with a link to Two Peas and Their Pod) on my blog Aplomb Aplenty. Feel free to check it out at aplomb-aplenty.blogspot.com. The cookies look amazing! I baked mine but it didn’t have the cracked surface. Any tip for baking crack-looking cookies? Thanks! 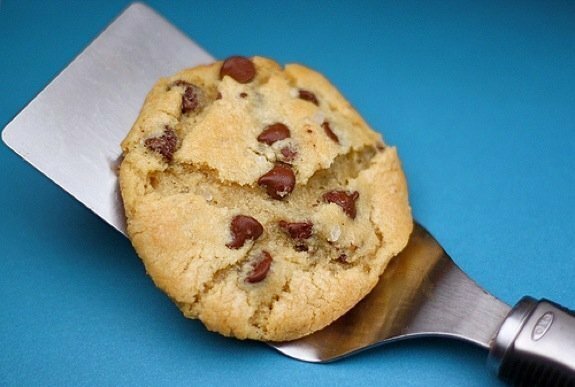 Pingback: Best Chocolate Chip Cookie Recipe Ever!! I love these cookies! Have made them a number of times and they’re always delicious. I kind of want to try adding oatmeal to them as well, but wasn’t sure how that would go over. Any thoughts/suggestions? I haven’t tried the cookies with oatmeal. You can try reducing the flour and adding in some oats. Let me know if you try it! I’ve made these numerous times now and they’re always a hit with everyone who tries them! It’s so true that the cookies look and taste better the longer the dough is allowed to rest. Have you ever tried them with any other add-ins? Hi!!! Just found you browsing recipes, and I’ve just made the dough, but I have to say, I’m spanish and I just don’t know if I did the measurements right… I have english cups (i.e., the cup is 250 ml/ gr), that means I’ve used more or less 900 grs of the combined flours and probably 750 grs of sugar.. is that right? If not, can I make something edible out of a dought like that? now to share with some of my neighbors as they are oh so lethal. Love your website! These are sooo good! The sea salt was such a great twist…they are addicting!! This is actually Jacques Torres’ chocolate chip cookie recipe! It’s my favorite cookie recipe! I’ve tried it all different ways too: with ap flour, not chilling them, making them smaller, and EVERY time, they came out delicious! Sticking to the recipe is obviously the best choice, but there really wasn’t a wrong way to do these cookies haha! I’ve been wanting to try these cookies, but I can’t get myself to buy the bread flour. But your mouth-watering pictures have changed my mind! the post I realized it’s new to me. Anyways, I’m definitely delighted I found it and I’ll be bookmarking and checking back frequently! These are quite similar to the cookies I’ve been making for about 2 years now. They really are THE BEST EVER! Any suggestions for high altitude? I followed recipe and cookies were flat like pancake…lol. These look amazing! What exactly are chocolate discs and where might I find them? 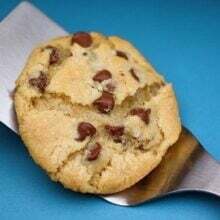 Pingback: Chocolate Chip Cookies: 31 Tips For The Perfect Cookie Every Time! can i just use all purpose flour to replace the cake flour and bread flour? so 17 ounces of all purpose flour? Yes, the cookies will have a slightly different texture, but they will still be good! Looks awesome!! Does anyone know, can you pre-scoop the dough and then refrigerate in order to save time and muscles 🙂 I always have a heck of a time scooping chilled dough…. Yes, you can scoop the dough and then chill.